Following last summer’s piece on the plaques of Hove, I now turn my keen eye towards the plaques of Kemp Town. Official English Heritage plaques around London are known as ‘blue plaques’ and follow a strict code. Brighton & Hove, as rebellious as ever, has over 100 plaques in many different colours, shapes and materials from organisations ranging from the Rotary Club to the British Film Institute to the Regency Society, dedicated to people and buildings. Bearing this in mind, it’s unsurprising that no-one knows if they should be saying ‘plack’ or ‘plark’. My favourite plaque in Kemp Town is Laurence Olivier’s on Royal Crescent. It always reminds me of the story I once heard that Oliver Reed, whilst visiting and drunk, got stuck in the house’s dumb waiter! 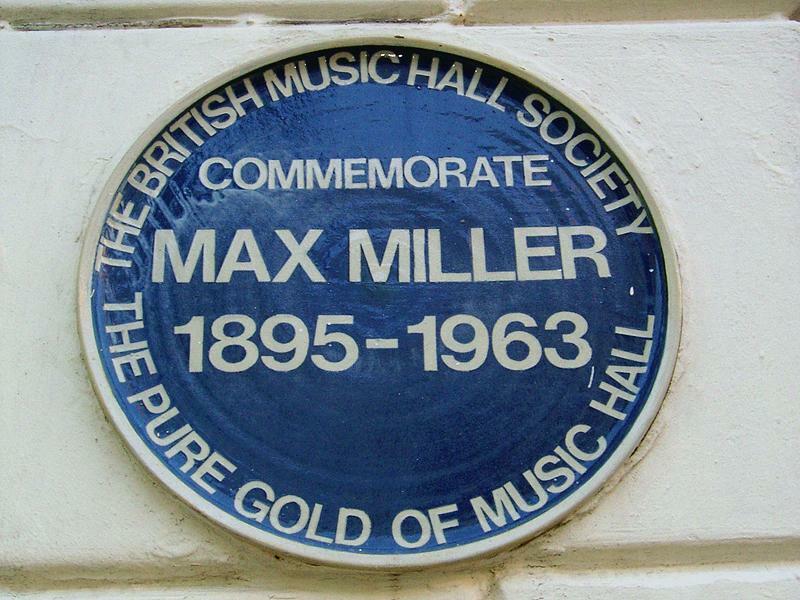 The plaque on 25 Burlington Street belongs to another entertainer, the comedian Max Miller, who loved Brighton dearly – check out his new statue in the gardens of the Prince Regent’s Royal Pavilion. The Prince’s illegal wife, Maria Fitzherbert, is commemorated on St John the Baptist RC Church at the top of Bedford Street. George Canning, the Prime Minister in 1827, has a plaque on 101 Marine Parade. Sir Herbert Carden’s plaque is in the doorway of 103 Marine Parade. Sir Herbert bought up much of the farmland around old Brighton and sold it back to the Corporation at cost price. Interestingly, Carden was knighted by Ramsay MacDonald who was Prime Minister both before and after Canning. 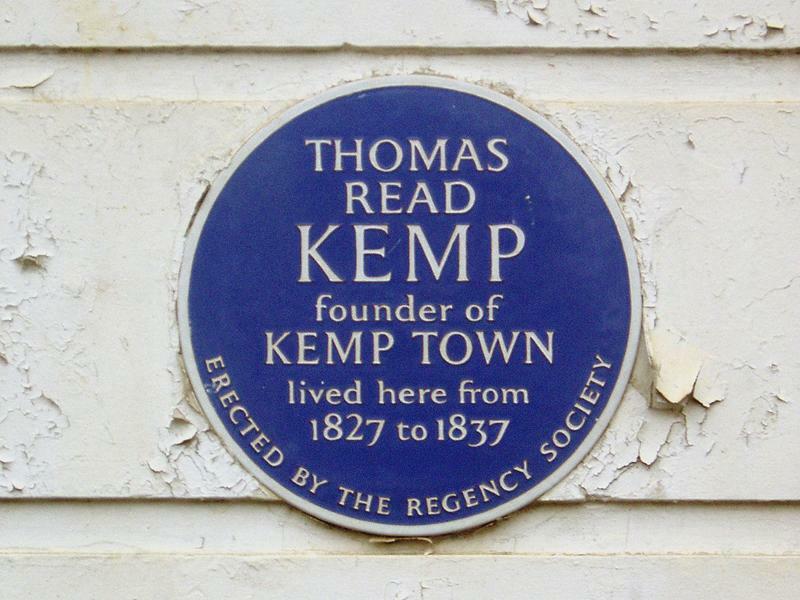 On 22 Sussex Square and 13 Lewes Crescent there are blue plaques dedicated to Thomas Read Kemp and Thomas Cubitt respectively. Kemp, of course, created Kemp Town and Cubitt was one of his builders and also the builder of Osborne House on the Isle of Wight for Queen Victoria. The Rev Charles Lutwidge Dodgson, better known as Lewis Carroll, has a stone plaque on 11 Lewes Crescent. The tunnel in the Crescent’s private gardens is said to have inspired the rabbit hole in his book, Alice in Wonderland. Most of the research for this piece came from the Regency Society’s Eileen Hollingdale and Duncan McNeill – thank you. In fact, the plaque on 46 Sussex Square is dedicated to the Society’s founder, Antony Dale. There are way too many plaques in Kemp Town to list here so see www.regencysociety.org for details of the Society’s Plaque Trail pamphlets – a perfect way to enjoy a sunny Sunday afternoon!